A partner in Splynx is basically a service provider or any subprovider of the service. 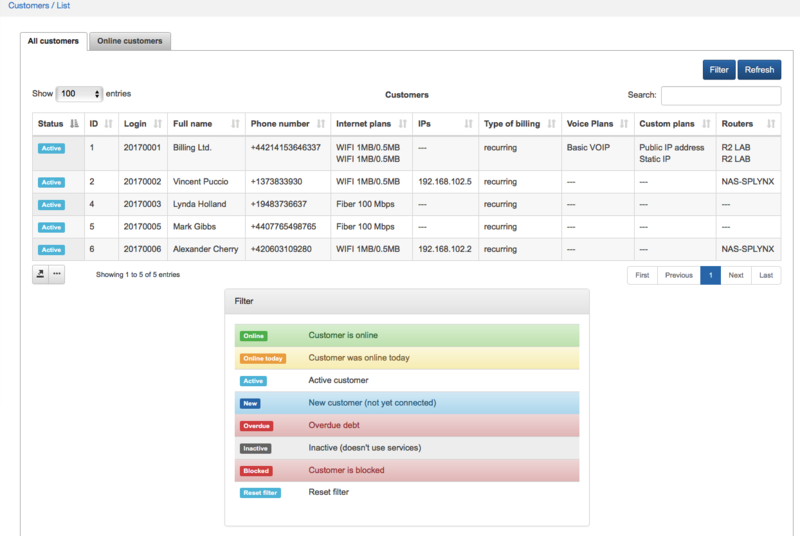 Partners logs' table shows a list of all Partners with number of customers assigned to them and number of online customers. 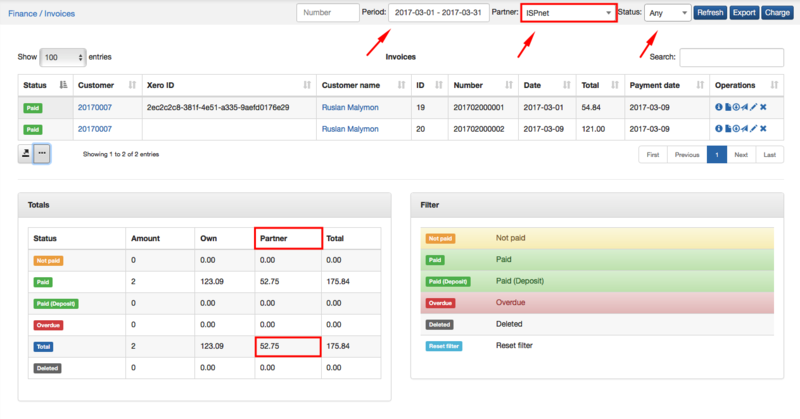 If you click on each number in the Customers' column, the full list of customers associated with the Partner will show up. If it is a long list of customers and you have to check them by particular status you can use a filter in the top right corner of the window. Another way to filter or search customers who belong to the same Partner is by clicking on Partner tab in Customers → Search. When you choose preferred partner, the list of customers associated with him, will appear. The table will contain information about name of the customer, his phone number, Internet, Voice and Custom plans, etc. The columns to display in the table can be selected and customized with the button below the table. 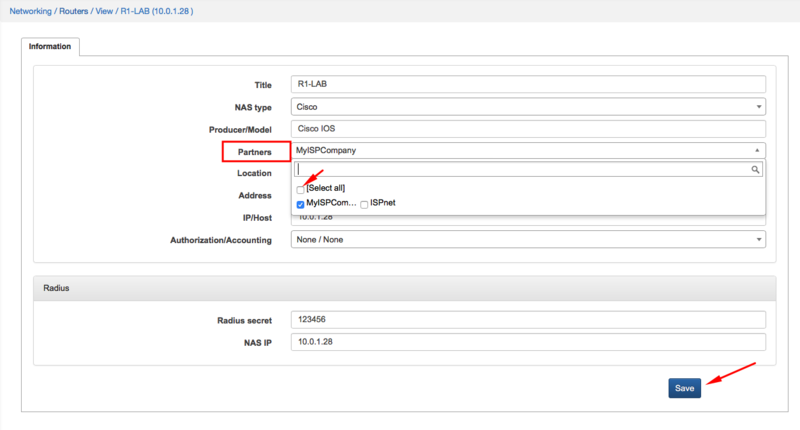 It is possible to add a new partner here by clicking on Add in the top right corner of the table. 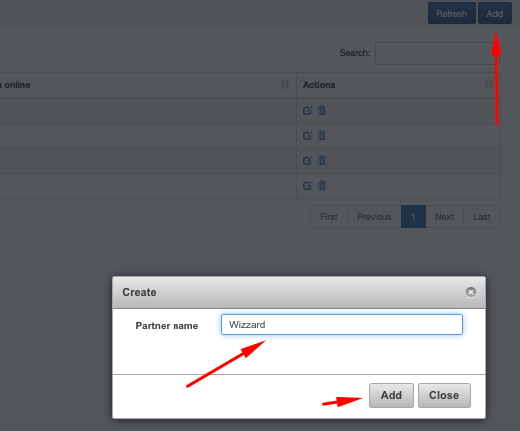 And it is also possible to edit the partner's name by clicking on Edit icon in Actions column. 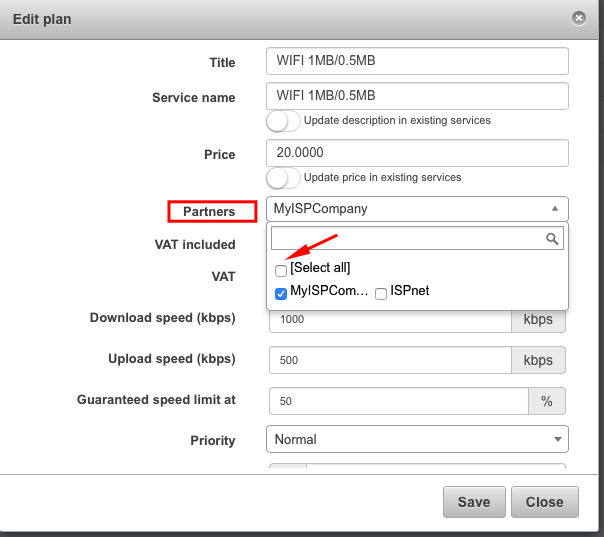 Not only Customers can be assigned to the particular Partner, but also Routers and Tariff plans. In Networking → Routers → List you can check the full list of Routers and filter their view by a Partner. If you'd like to change or add a partner to the particular router you have to click on it in Title column or click on Edit in Actions column. The same procedure is with Tariff Plans. When you click on Tariff plans → Internet a full list of Internet Tariff Plans will appear, where you can filter their view by a Partner. 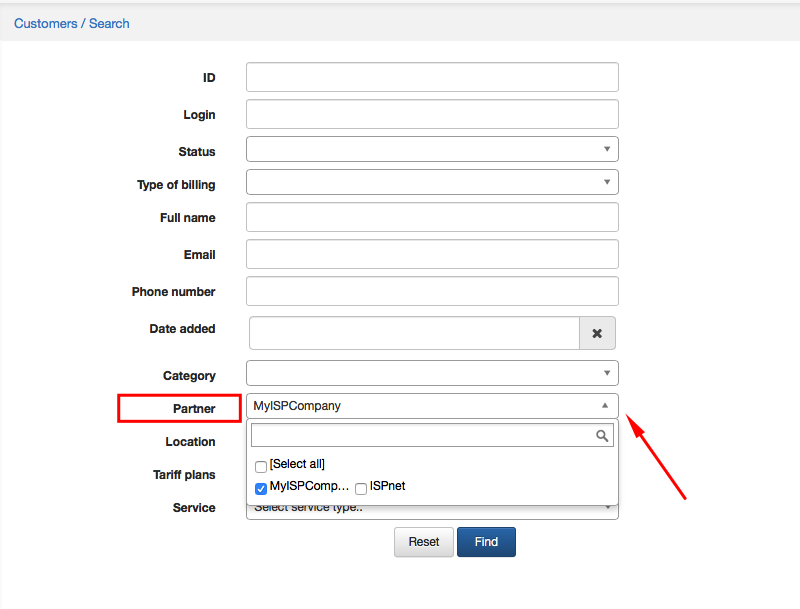 If you'd like to change or add a partner to the particular Tariff Plan you have to click on it in Title column or click on icon Edit in Actions column. so administrator will be able to operate with all information associated with one particular partner. You can find this option in Administration → Administrators. Click on icon in Action column and window will pop-up, where it will be possible to select one partner or option Any. 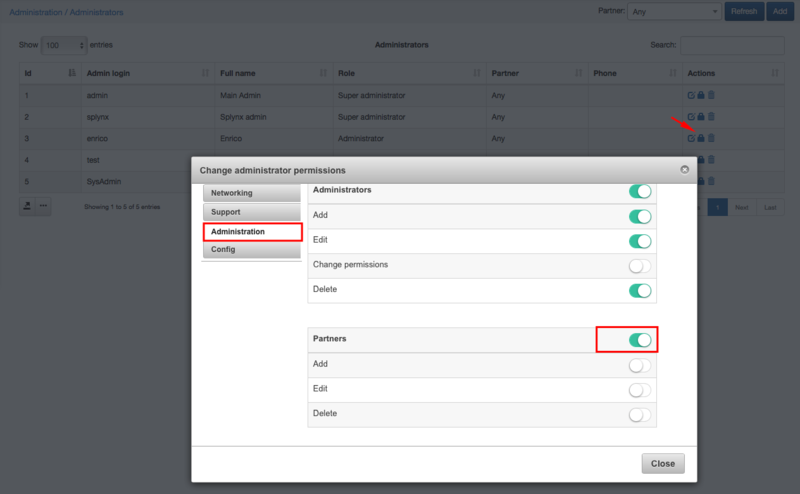 You can also change permissions for adding, editing or deleting partner (s) for the particular administrator by clicking on icon in Actions column. 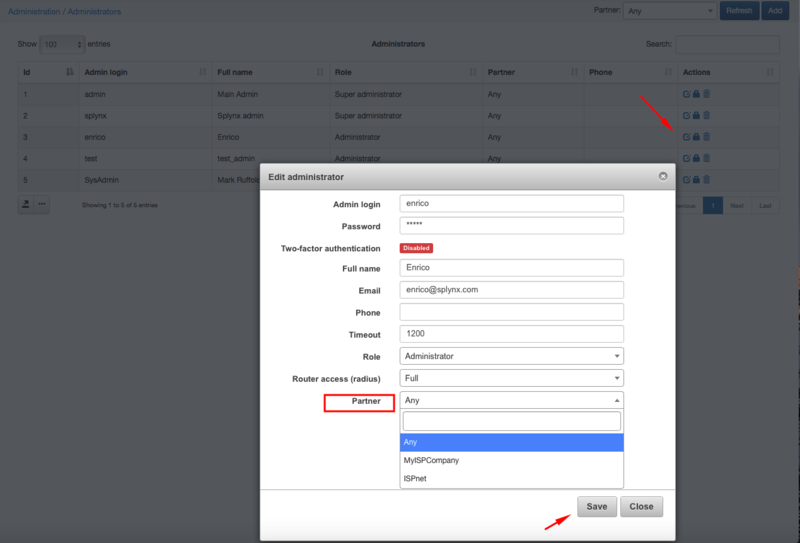 In a window poped-up click on Administration section enable Partner and select permissions to add, edit or edit Partner. for their services. 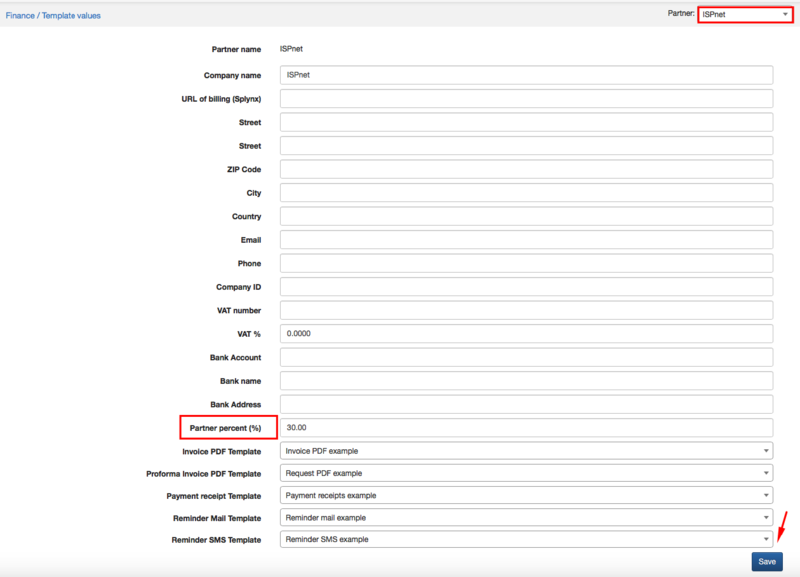 You can set it up in Config → Finance → Template Values. In Templates Values in the top right corner choose an appropriate Partner and in Partner percent field fill in percentage of Partner's commission. After commission has set up, you will be able to check the amount of it paid to the partner in Finance → Invoices. At the top side of the window choose an appropriate Partner (with Period of time and Payment Status, if necessary) and below the list of Invoices you will see the "Totals" table, showing total amount paid and amount of commission for the partner.